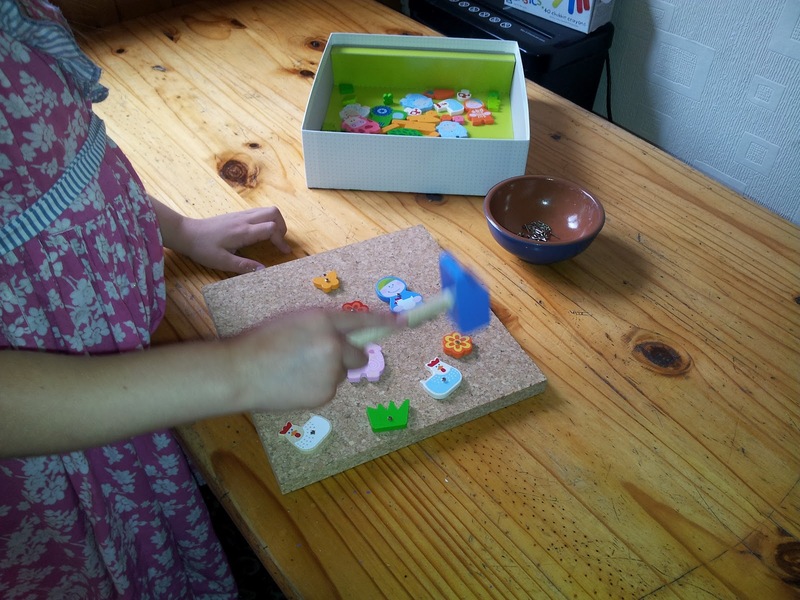 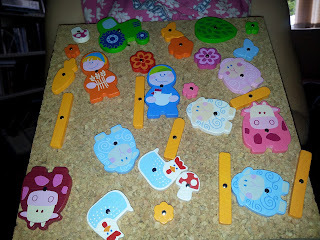 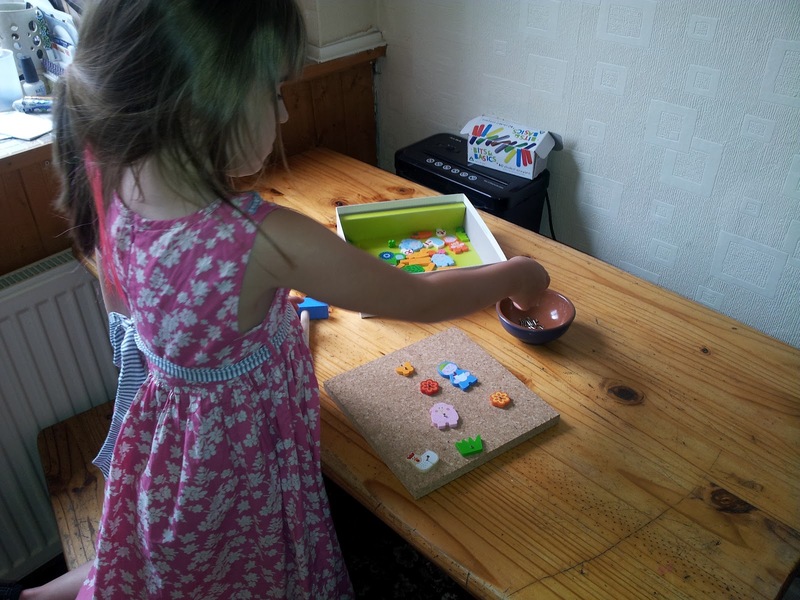 The Moo and Baa Tack Zaps from HABA is a craft kit that includes beautifully crafted wooden pieces, tacks, hammer and a cork board for little ones to create their own masterpieces. 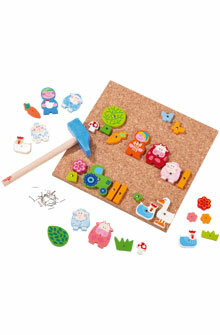 This lovely product is aimed at either girls or boys from ages 3+ The Moo and Baa Tack Zap features 45 colourful animal and scenery pieces. It really is a delightful little toy. 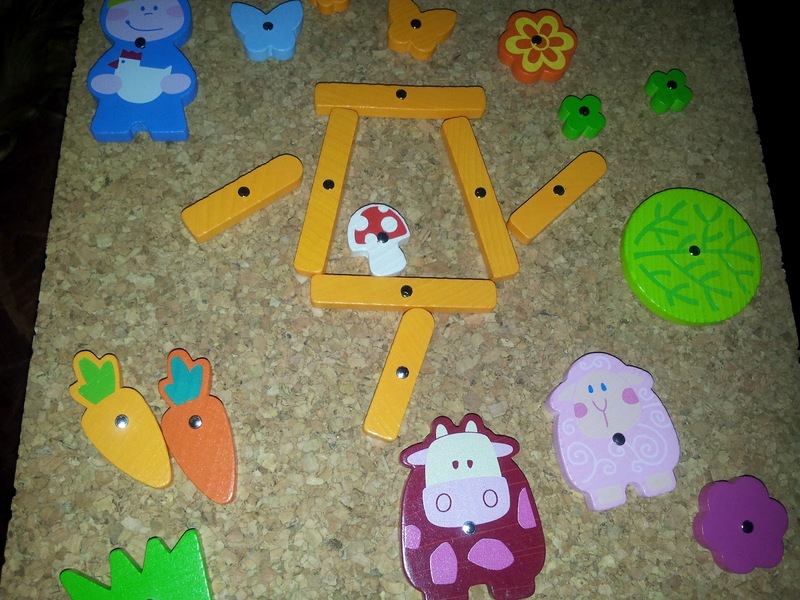 Here at Mummy Of 3 Diaries Lily and I give the Haba Moo and Baa Tack Zaps a well deserved 4/5. It's easy and fun to play with and can be re used over and over again which is always great. 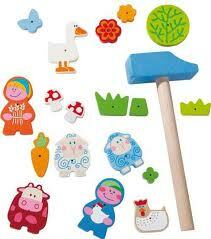 Haba have produced a wonderful toy here, it really is beautiful and very well made. Labels: Haba Toys, Moo and Baa Tack Zap.